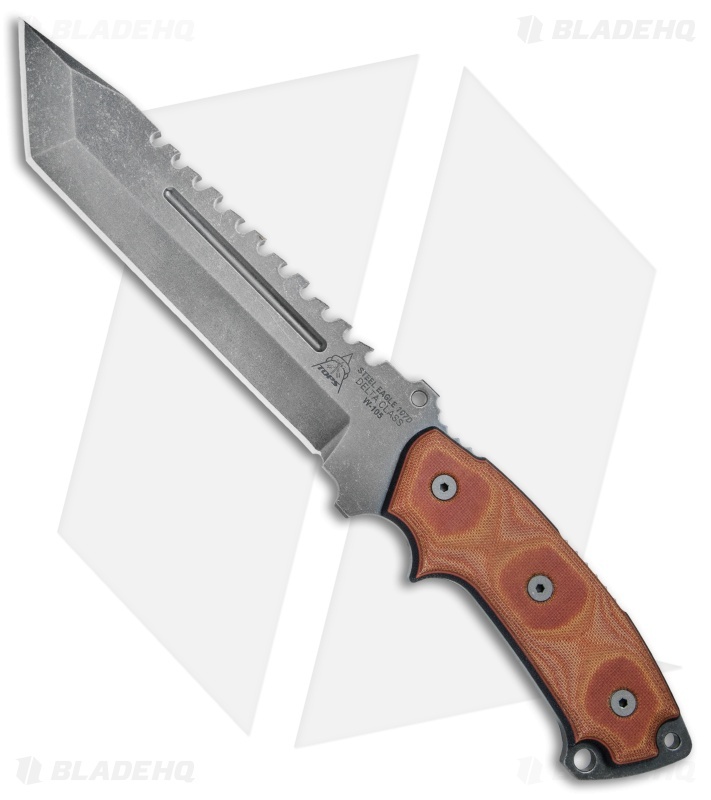 This Steel Eagle Delta Class series fixed blade has been outfitted with a 7.5" tanto blade in an Acid Rain finish and brown micarta handle scales. The Steel Eagle series has been time-tested over 10 continuous years in the field. 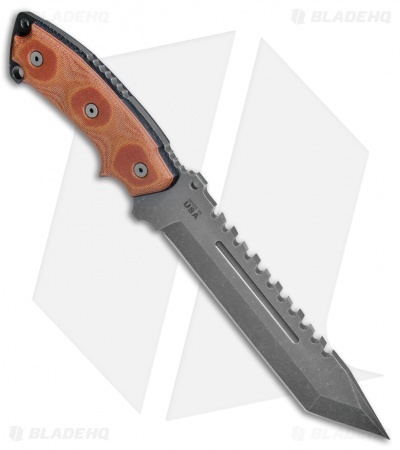 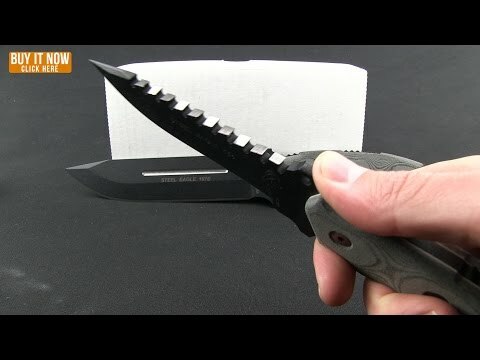 In every terrain and in all conditions, the Steel Eagle knife has proven its strength, durability, versatility and dependability within the Special Operations Community. This Steel Eagle knife features a full tang tanto blade with a durable acid rain coating and a sawback spine. The handle is made of brown and black layered linen Micarta. 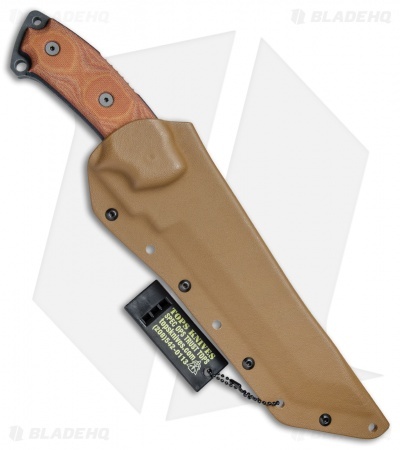 Item includes a brown kydex sheath with a belt clip attachment.